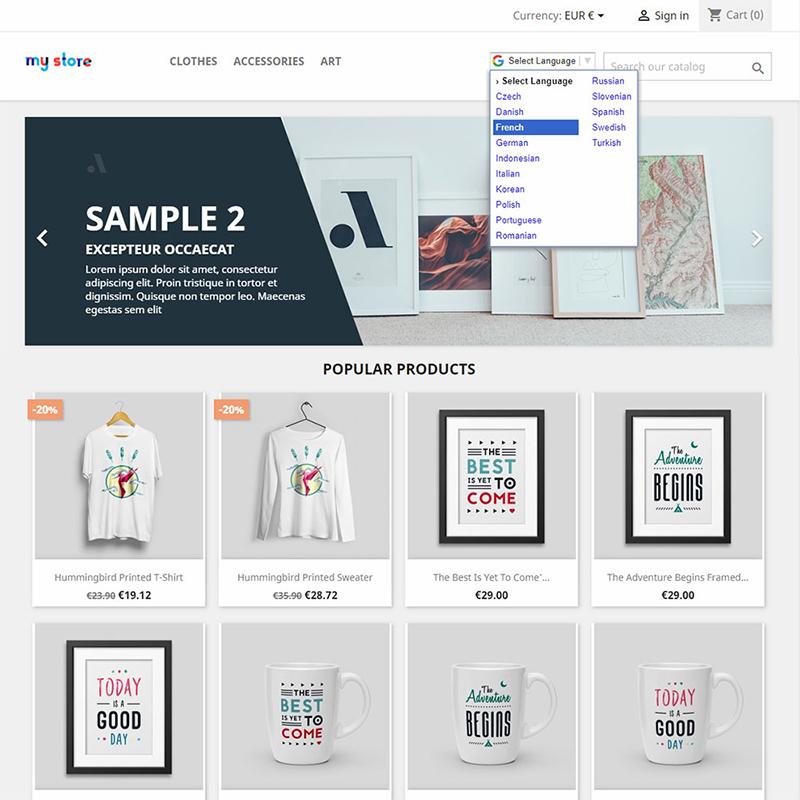 This module allows to translate the contents of your store to over 100 languages with no change to your site style or structure. From the module configuration page you can select the languages you want to display. Translate store’s content in few seconds. 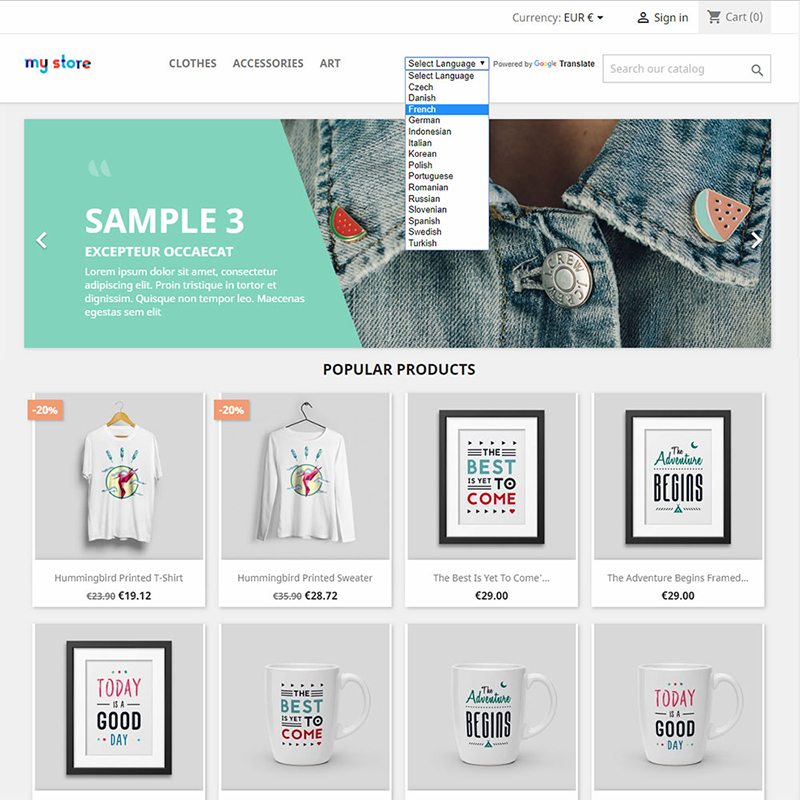 Instantly translate your store into 100+ languages – no coding skills required. Automatically translate your any page. Reach new customers from all around the world. Customers from all over the world will be able to shop your store in their preferred language! It’s a few simple clicks: Choose Block position and Select the languages you would like to support. And it will allow your customers can select their preferred language. Increase global sales and improve SEO ranking of the store. Choose as many languages as you want. Support dynamic and static content translation.